I have an obsession, and I know that many of you have the same one. No, it’s pizza, what’s wrong with you? 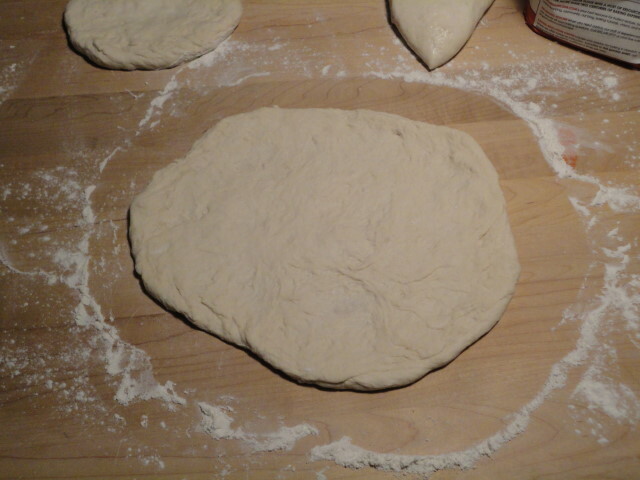 Anyway, the first step to pizza is, of course, the dough. This is a very simple dough, and it’s not really any different from a bread dough. There aren’t going to be many pictures in this post, because it is very similar to making bread. The first thing you need to do is proof your yeast. 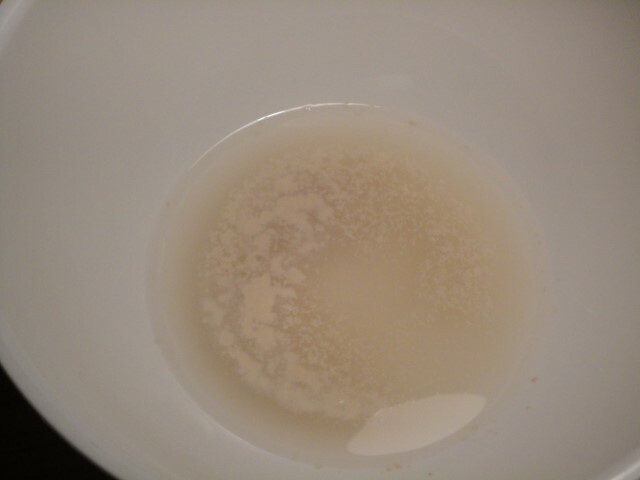 Pour the water into a large bowl, and add the sugar and yeast. Let that sit for around 10 minutes until it’s a little bubbly. Next, add 1 tablespoon of the oil, the salt, and start working in the flour. It may take more or less of the flour depending on the environment in your kitchen. The dough should be fairly sticky. When it comes together, dump it out on a counter and start kneading. You should knead it for at least 5 minutes, you really want to develop the gluten in this dough. At some point, it will become smooth and elastic. If you are going to use this dough tomorrow, or in a couple of days, you can divide the dough and keep it in the fridge. You’re going to divide it into pizza-sized pieces. If you want small pizzas, divide it into four. If you want larger ones, divide it into two. You might have to experiment to find the size that is best for you. Your best bet is to keep the pieces in an oiled bag or container. Just take it out a couple of hours before you plan to use it to let it warm up and finish rising. If you’re going to use the dough right away, then form it into a ball and put it into an oiled (the other half of the oil) container or plastic bag to rise. The dough should double in size. The time it takes will vary depending on the temperature in your kitchen and the potency of the yeast. 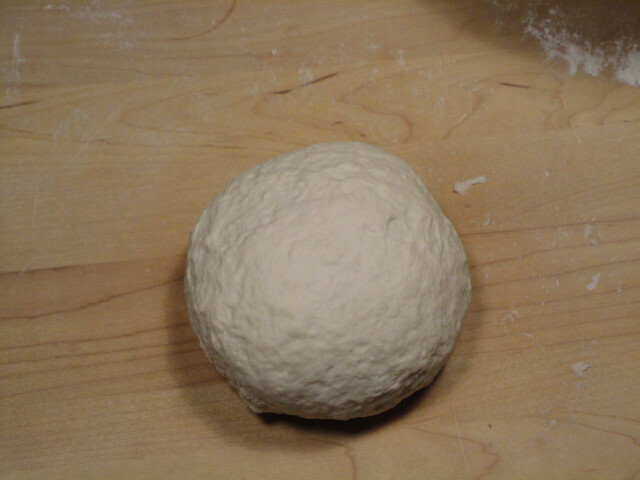 After it has doubled, or when it’s warmed up and risen, take out the dough and punch it down. In other words, squeeze out the gasses that have developed. Split it up into pieces, make them into balls again, and let them rest for fifteen minutes or so. Then you should be able to shape them into roughly round shapes. It doesn’t need to be perfect, this is homemade pizza! The thickness is up to you or the recipe. Now you have your canvas, what will you paint it with? Previous Post Where’d he go?